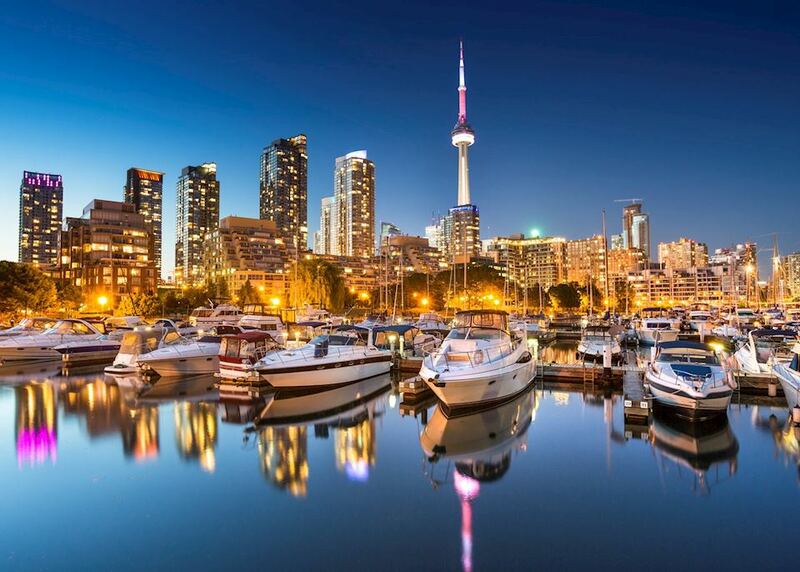 Gaze across Toronto from the CN Tower and take a boat trip on Lake Ontario. 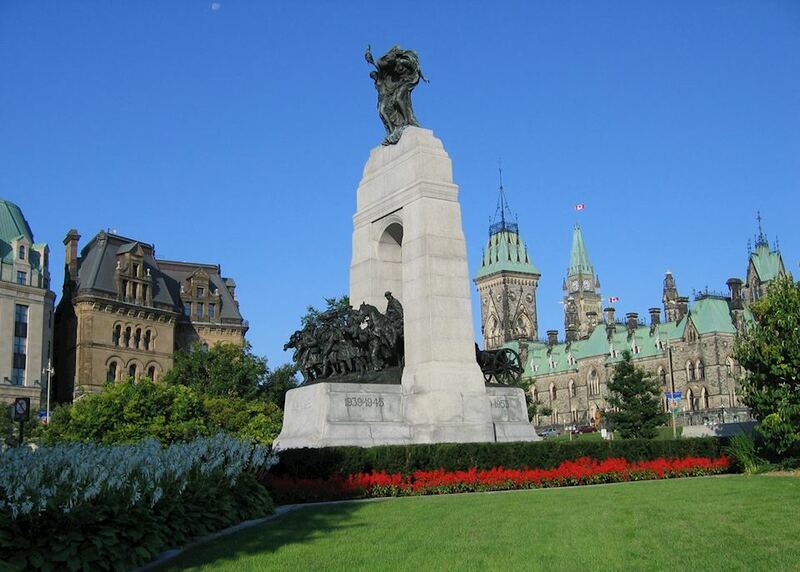 Explore the many excellent museums, parks and galleries of Canada's capital, Ottawa. 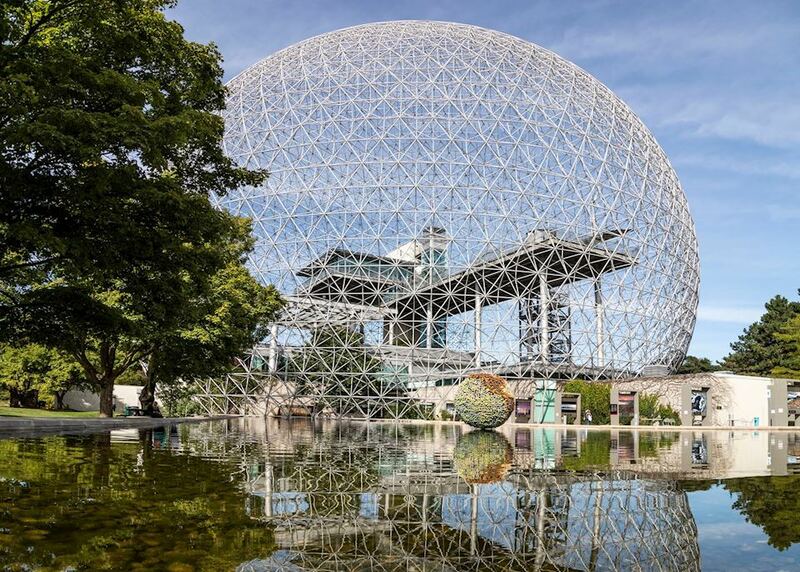 Visit Montréal's superb Biosphere and Planetarium and enjoy a cruise along the St Lawrence River. 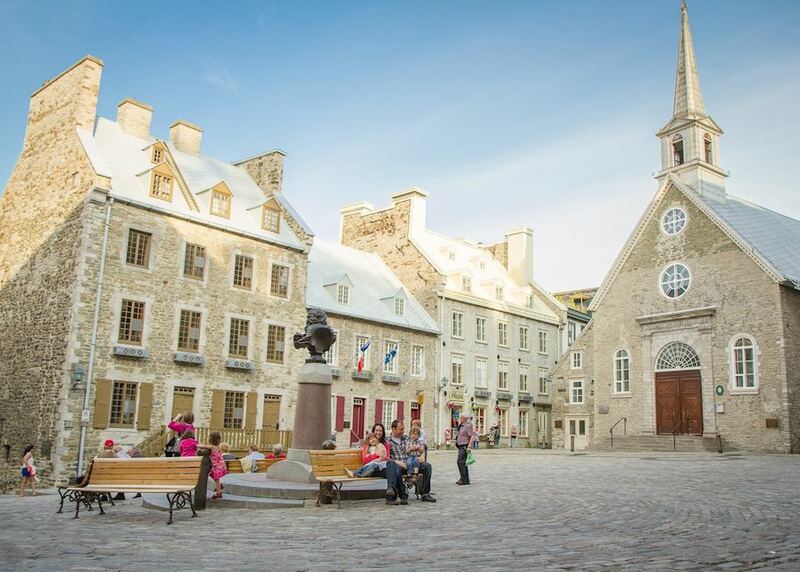 Discover tangible history amongst Québec's cobbled streets on a guided walking tour. 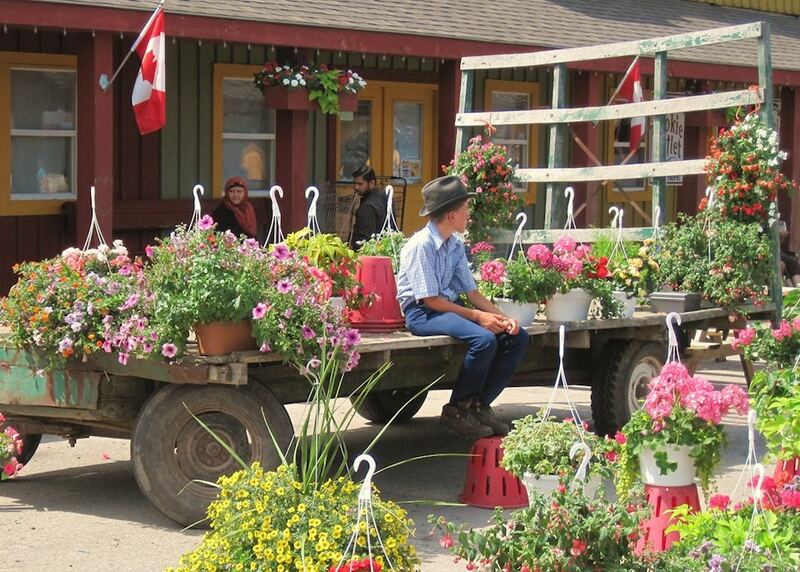 Take a day trip to admire Niagara Falls and explore the village of Niagara-on-the-Lake. 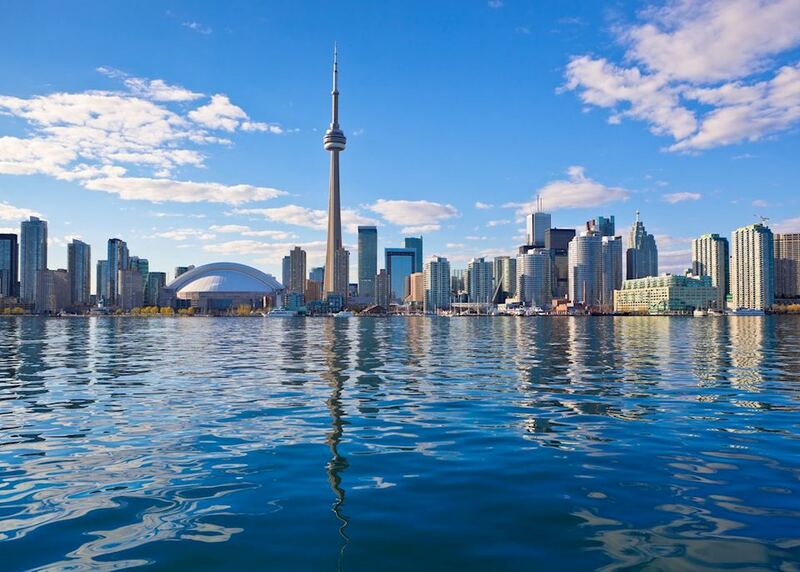 Today you begin your journey by boarding your international outbound flight to Toronto. 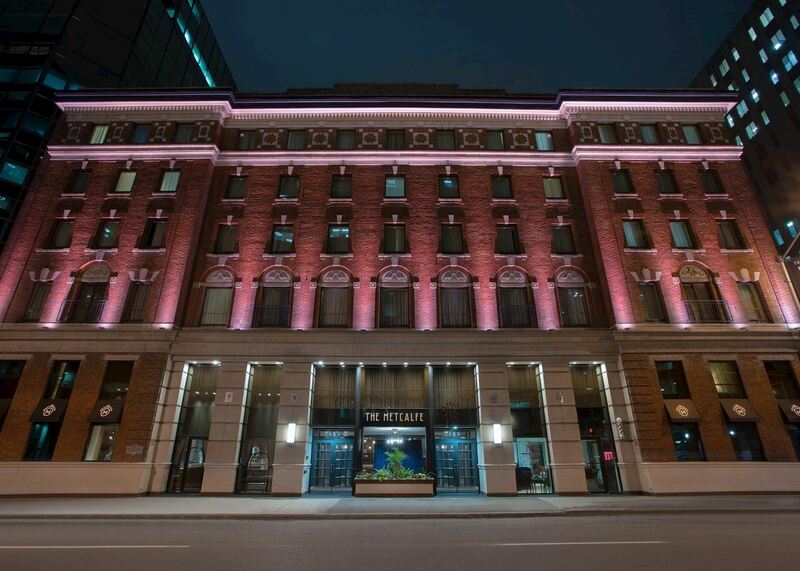 On arrival, make your way from the airport to your downtown accommodation - you could get a taxi, ride the Union Pearson Express rail to Union Station or catch a bus. 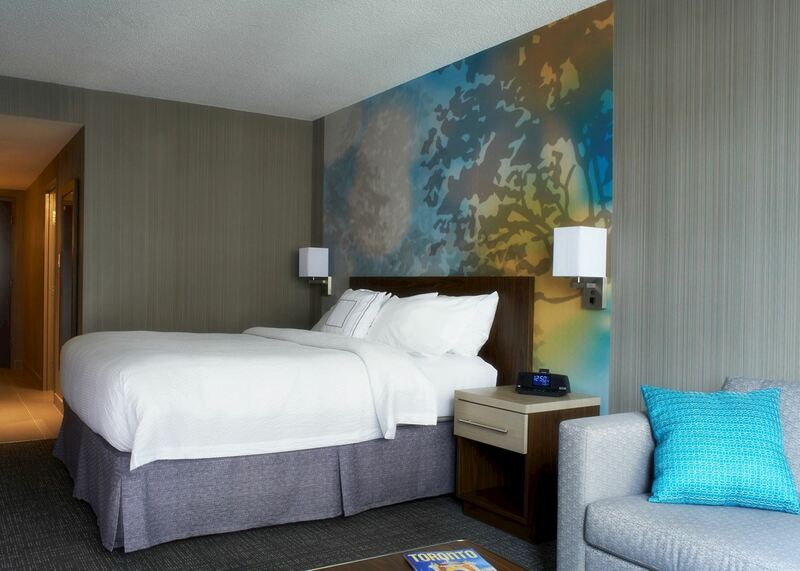 After checking into your hotel, you have the rest of the day to relax or explore Canada's largest city. 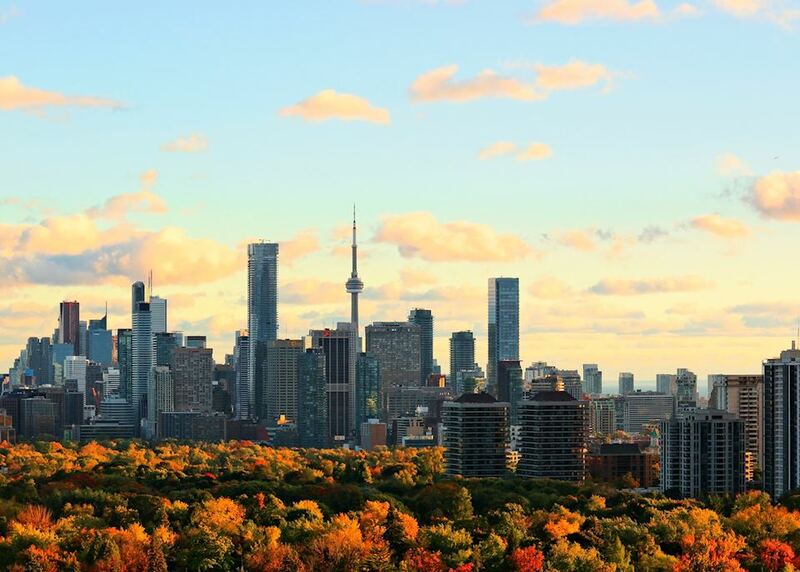 There are many museums, shops, galleries and restaurants to browse, or you can head to the top of the CN Tower to take photographs over the cityscape. 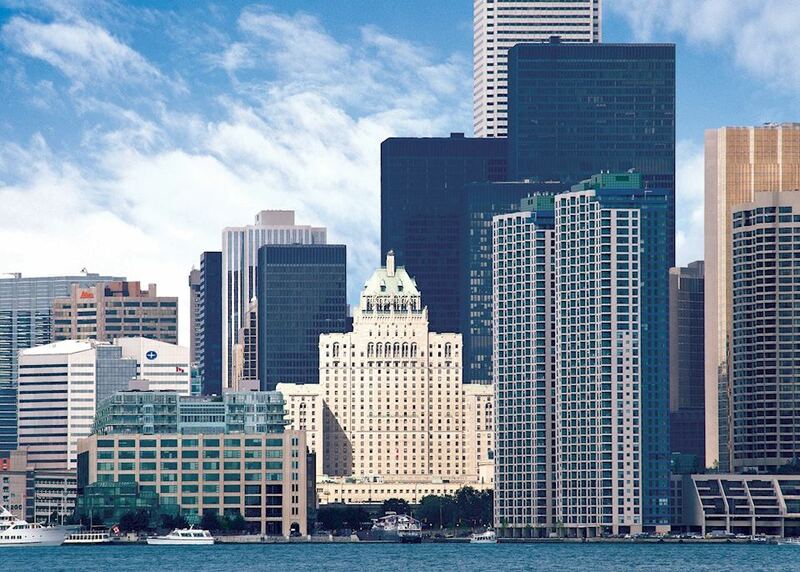 Enjoy a full day soaking up the sights and sounds of Toronto. You could explore the city's array of galleries and museums, or venture into its quirky, eclectic neighbourhoods. 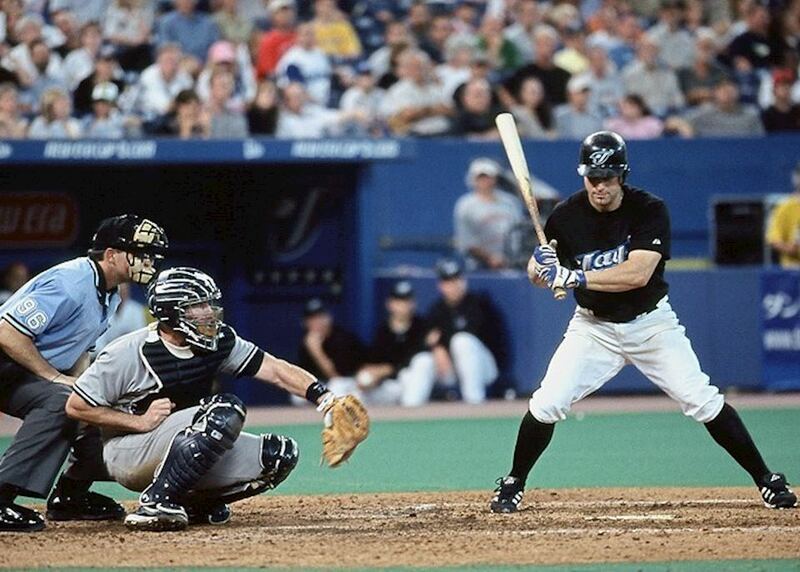 If you're a sports fan, we recommend a visit to the Hockey Hall of Fame or the Rogers Center, home to the Toronto Blue Jays baseball team. 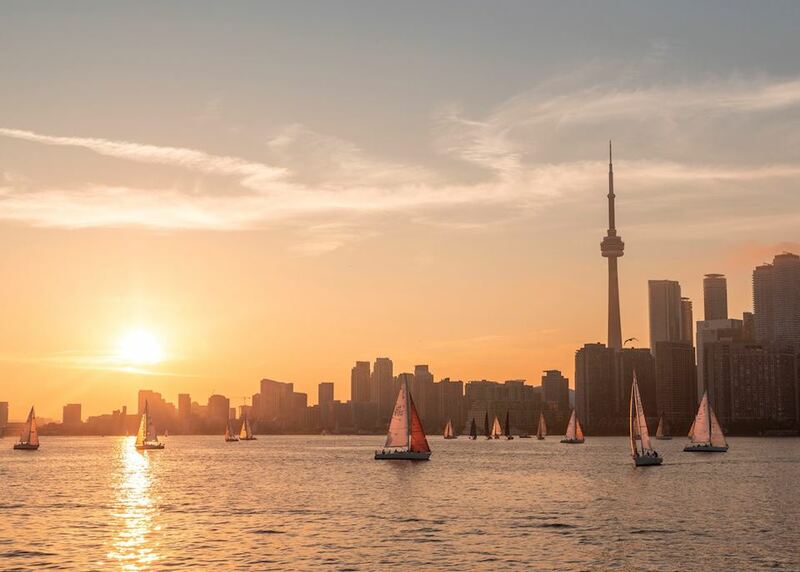 Alternatively, take a 15 minute ferry ride over to Toronto Island, where parks offer a peaceful place to walk or cycle and you can relax on sandy beaches - and admire the city skyline. Join a full day, small group guided trip to Niagara Falls. 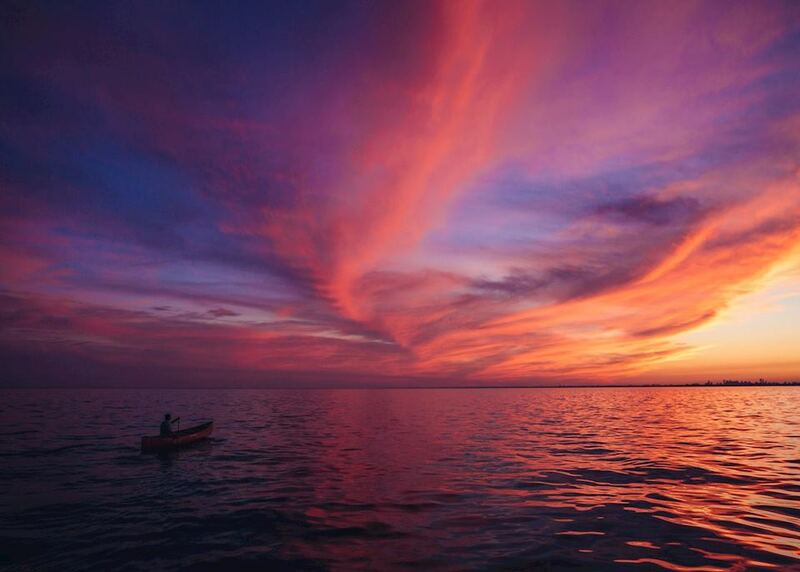 The journey takes around two hours, passing the fruit-growing town of St Catherine's and the Niagara Peninsula wine region (you may have the chance to stop at a winery later today for some wine tasting). On arrival at Niagara Falls, you have plenty of time to take in the beauty and power of the cascading water, and an exhilarating boat trip gives you a closer view. 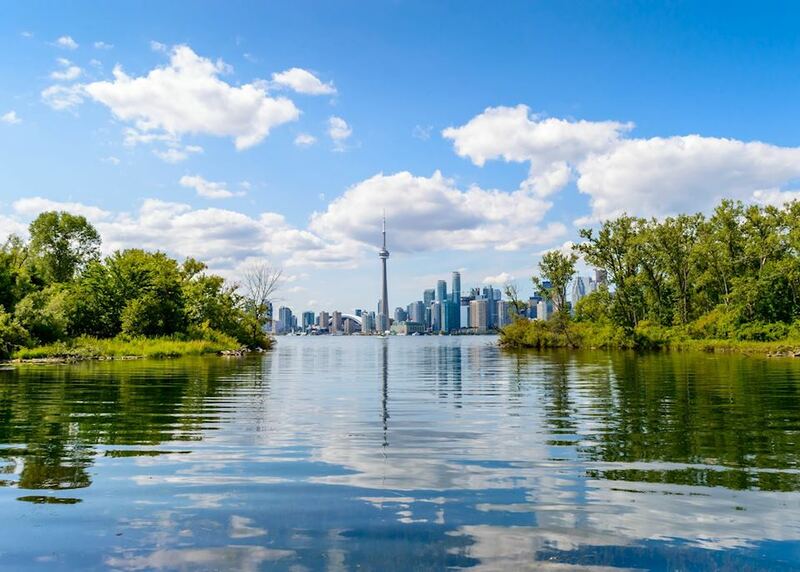 After lunch in one of the local restaurants, you're driven along the scenic Niagara Parkway, winding along the Niagara Gorge, before visiting the pretty village of Niagara-on-the-Lake. You may have time to take an optional helicopter flight from here over the falls for superb bird's-eye views. 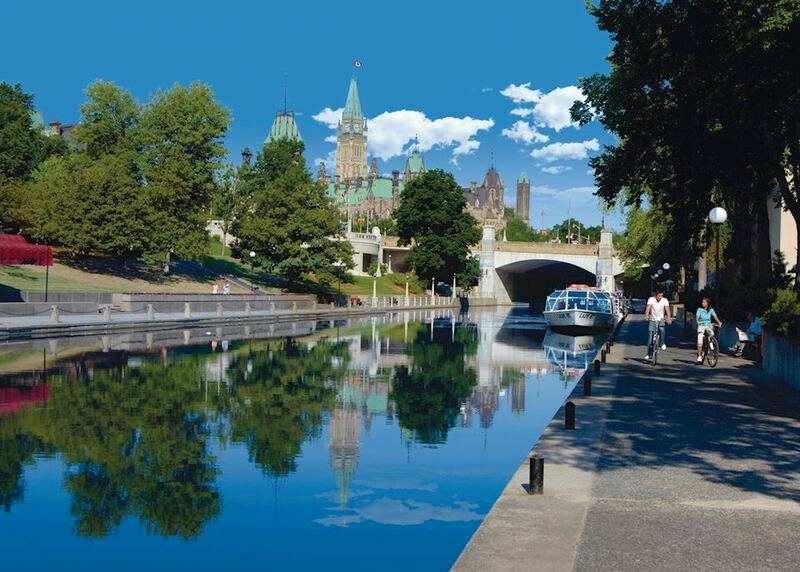 This morning, make your own way to Union Station, where you board the train from Toronto to Ottawa. The journey takes around four and a half hours; you can admire the view as cut through Ontario's forested interior. A snack and bar service is offered on all of your journeys. 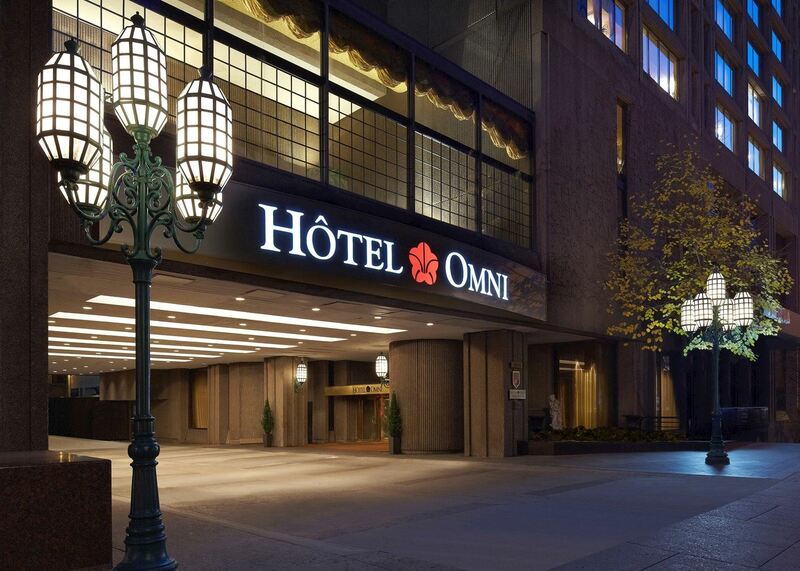 On arrival at Ottawa's Tremblar Road Station, take a short taxi ride to your hotel. 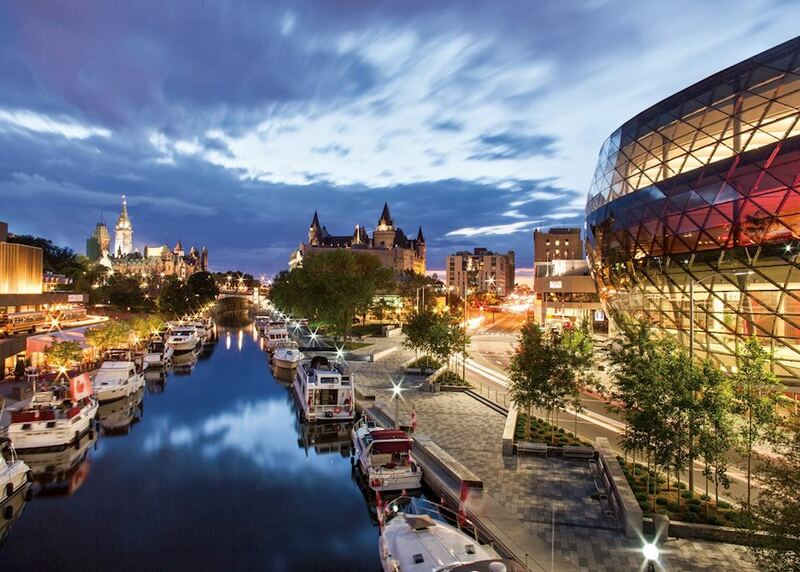 Spend the rest of the day exploring Canada's capital city. 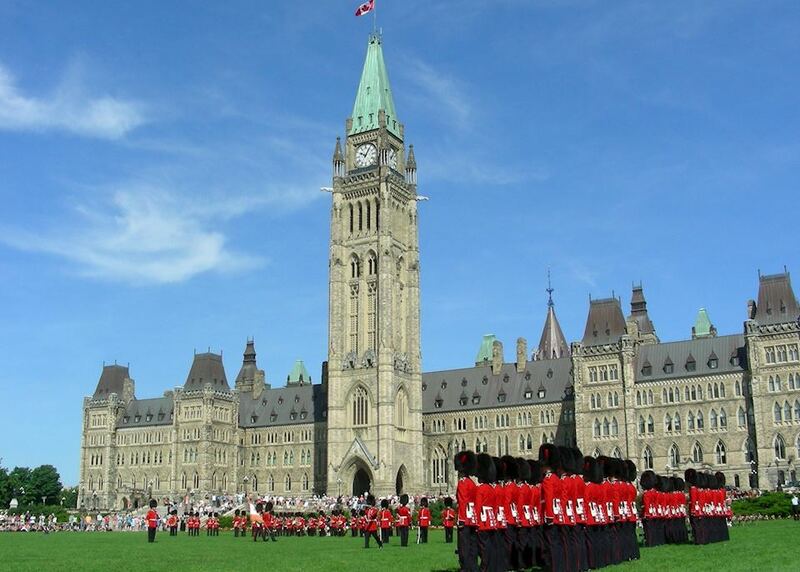 It is possible to book a free 20 minute tour of Parliament Hill's government buildings locally, or you might prefer to visit the Peace Tower - a lift can take you up to the top for sweeping views over the city. 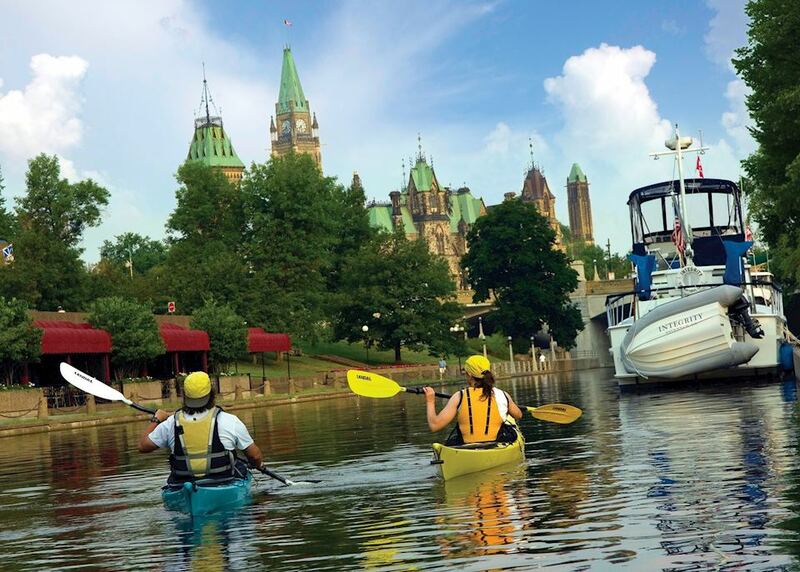 Spend today further exploring the compact city of Ottawa. 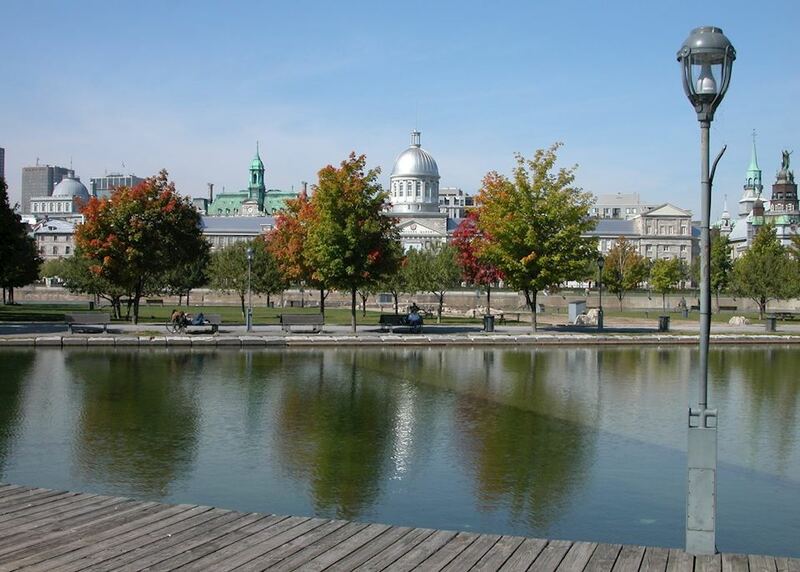 Many superb parks and gardens, as well as the Rideau Canal, offer a peaceful place to stroll. 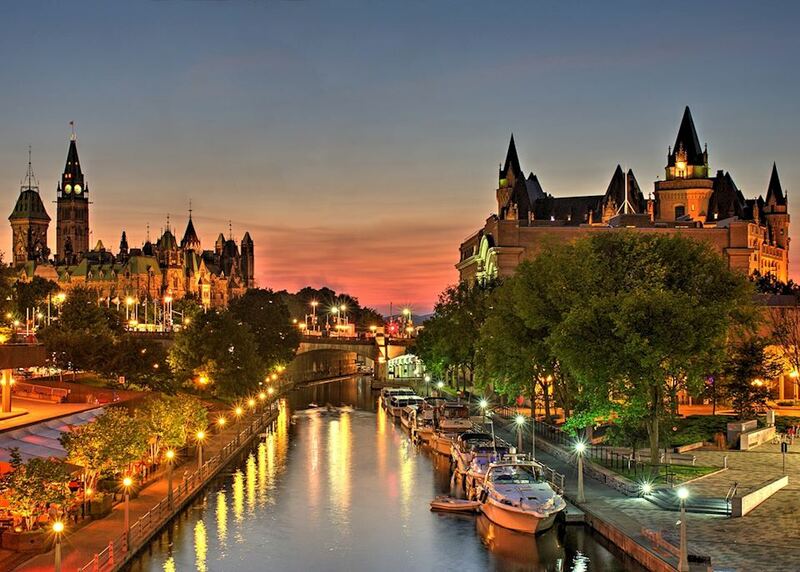 There are also a variety of museums and galleries to browse, including the Museum of History, which charts 1,000 years of Canadian history through interesting and atmospheric exhibits. 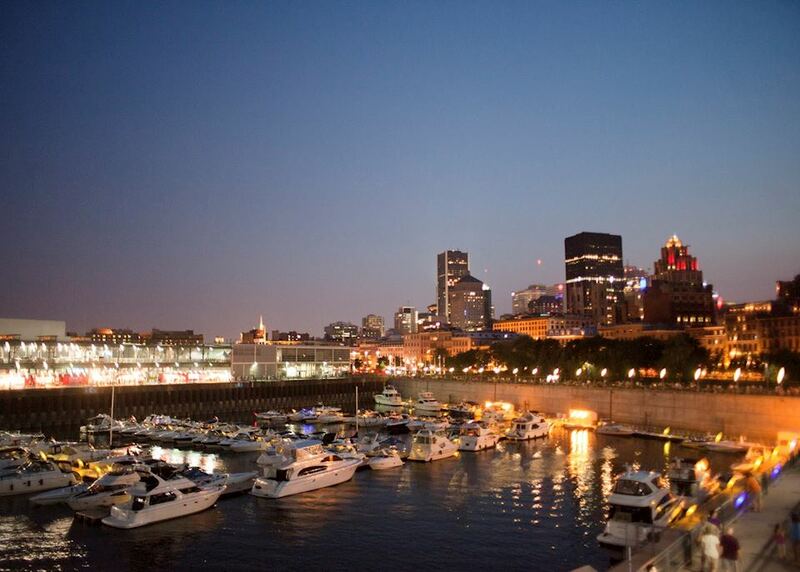 We also recommend visiting the Byward Market, where you're spoilt for choice when it comes to cafes and restaurants. Take a taxi to Ottawa's Tremblar Road Station, where you board the train to Montréal. The journey takes around two hours through lush green landscapes. On arrival at Montréal's Central Station, take a taxi to your hotel. 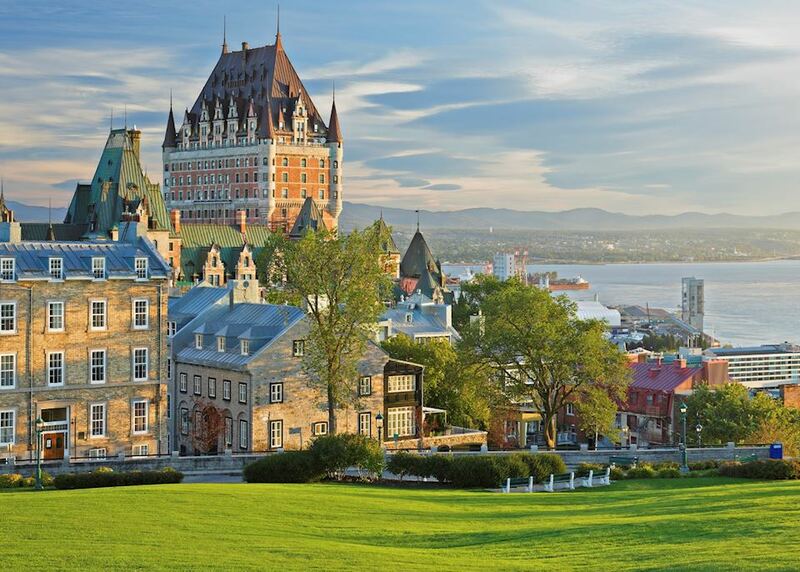 Spend the rest of the afternoon exploring this cosmopolitan city, which blends French, British and Canadian cultures. 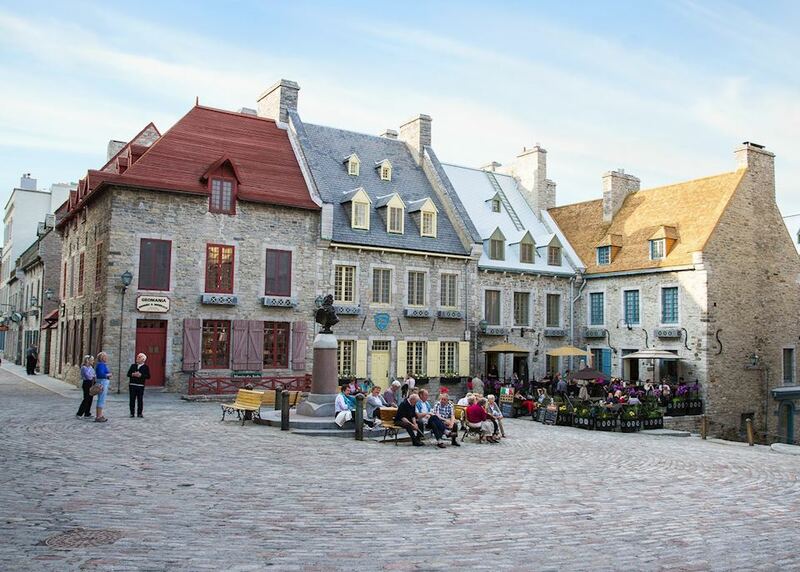 You could browse the many chic shops and galleries or take a guided walking tour along the cobbled streets of Old Montréal and the Old Port area to learn about the city's history. The day is yours to explore more of the city. 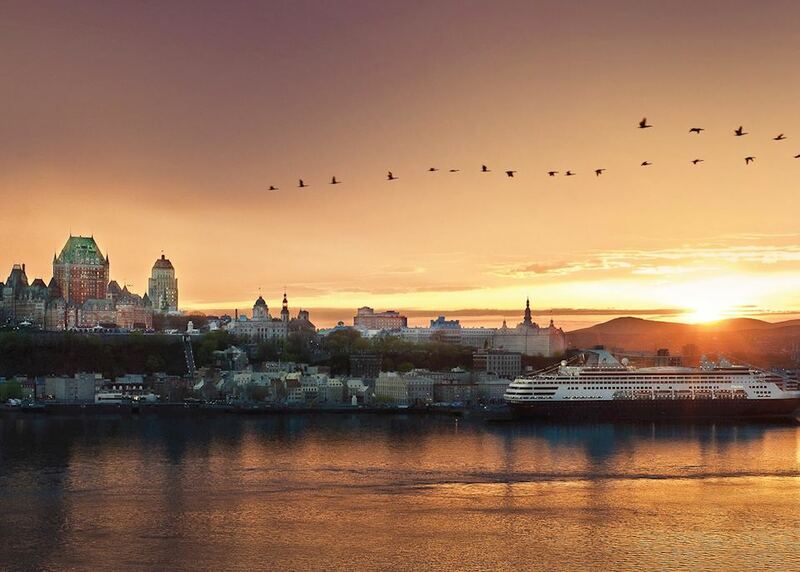 You may wish to take a relaxing bateaux mouche cruise along the St Lawrence River, visit the Planetarium for an insight into astronomy, stroll around the beautiful Botanical Gardens or learn about the environment in the distinctive Biosphere Museum. 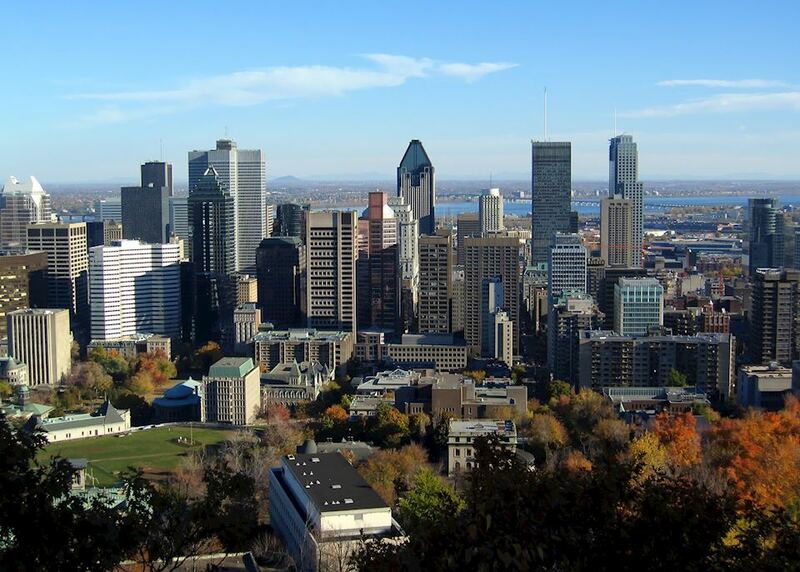 You could also visit the Museum of Fine Arts or go walking in Parc du Mont Royal for excellent views over the city. 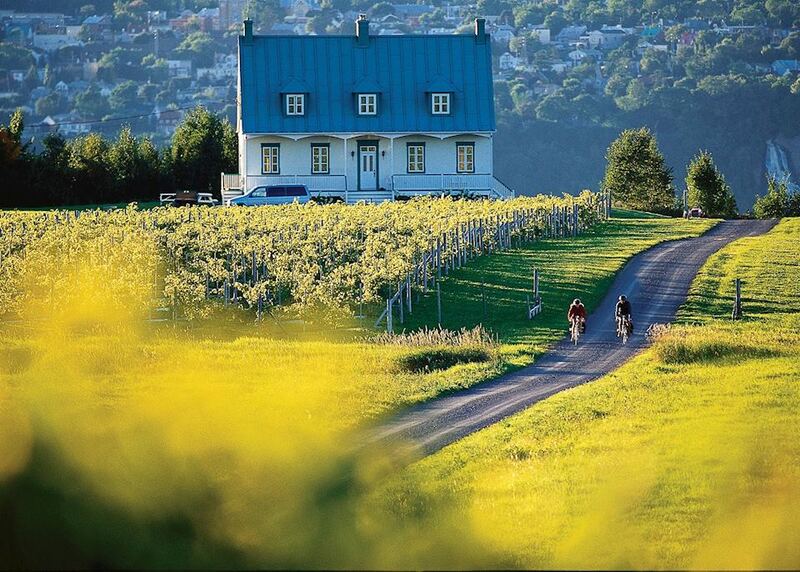 Take a taxi to the train station and board the train to Québec City. The journey takes around three and a half hours and you pass some beautiful scenery, including snow-capped mountains and dense evergreen forest. 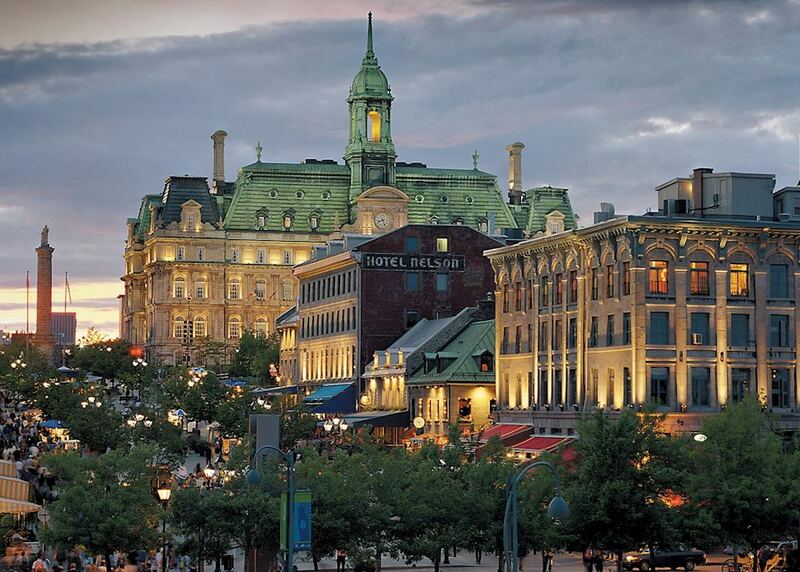 Upon arrival at Québec City's Gare du Palais, take a taxi to your hotel before heading out to take in this historic city's many sights. 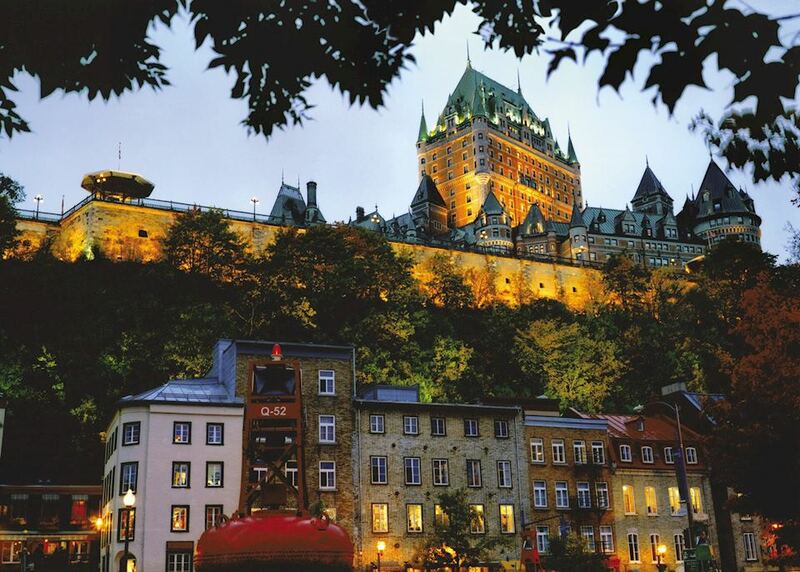 Enjoy a drink in one of the quaint cafes while soaking up the distinctly European atmosphere, or visit La Citadelle with its old fortified walls. 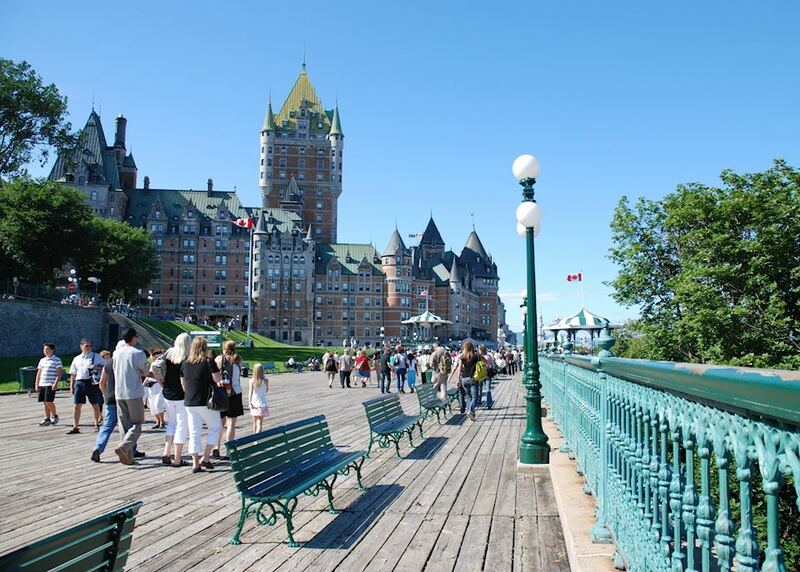 Join a two hour guided, small group walking tour of old Québec. Your guide is an expert on the city's history and gives you a fascinating insight into its past. 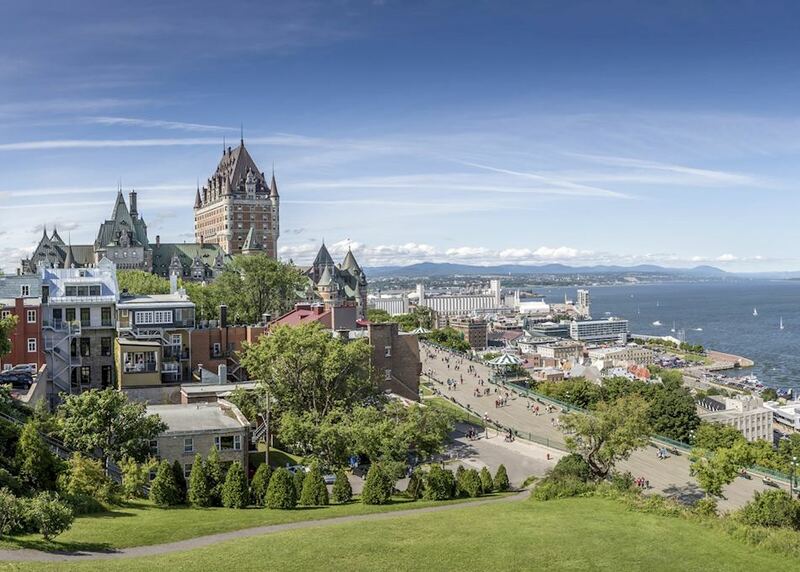 Highlights include strolling along the Duffering Terrace for views over the surrounding countryside and the St Lawrence River, walking through the Governor's Garden to see the Wolfe-Montcalm monument and learning about the last siege on the city at La Maison du General. 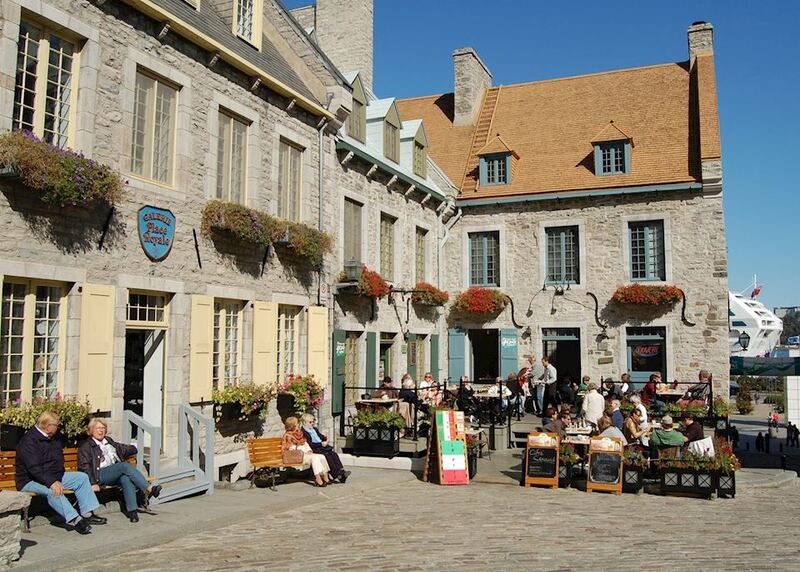 After the tour you can spend the rest of the day exploring the city through new eyes, spending more time at its historical sites, enjoying a spot of shopping or tucking into the fine French cuisine served in many of the cafes and restaurants. 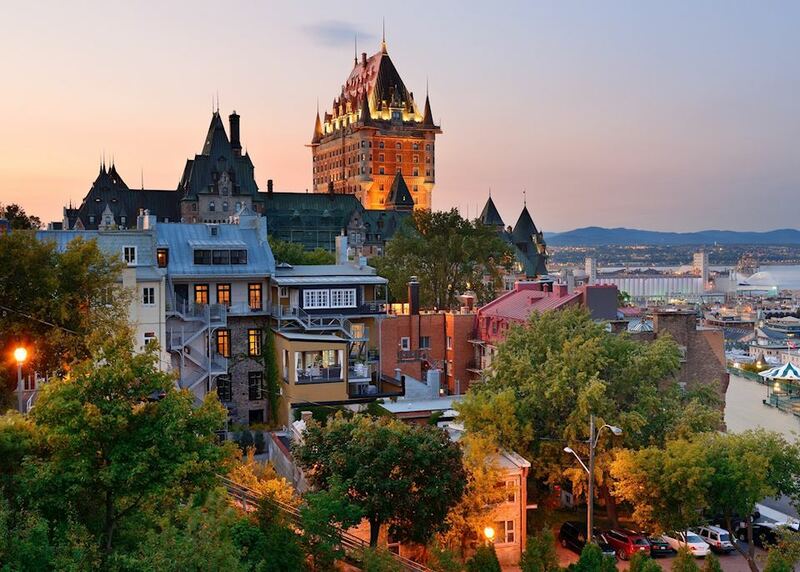 There may be time this morning for some last minute shopping and sightseeing before taking a taxi to Québec Airport for your onward flight. 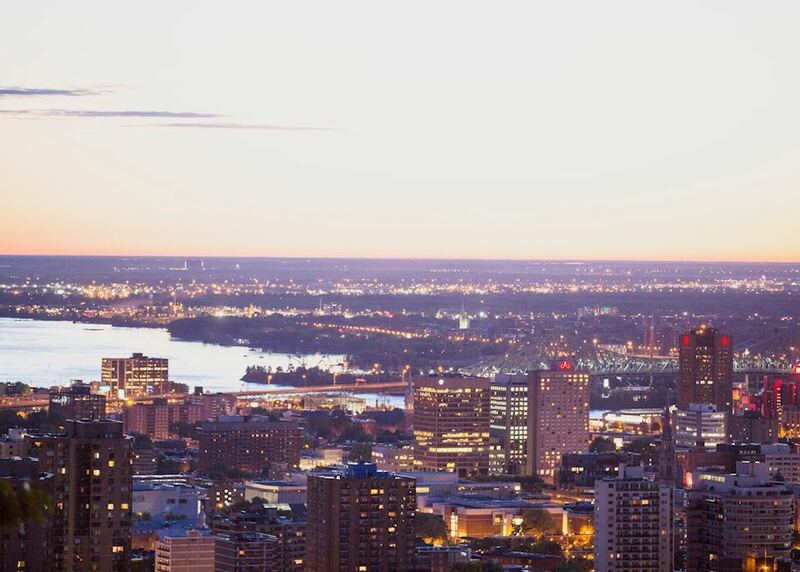 Explore the main highlights of Ontario including Toronto, Niagara Falls and Ottawa, with time to enjoy the natural paradise of Algonquin Provincial Park at the end of your trip. 9 days exploring the main highlights of western Canada including the Rocky Mountains, the interior of British Columbia, and the buzzing city of Vancouver.